One High-Flying Dividend Income Investing: Is Southwest Airlines’ Dividend Safe? This year hasn’t been an easy one for Southwest Airlines (NYSE: LUV). An engine on one of its planes failed. It was a catastrophic event. Worse, a passenger died. It was the first accidental death aboard a U.S. commercial airliner since 2009. After the tragedy, Southwest pulled back all of its television advertising. 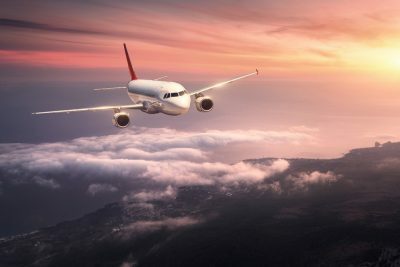 A few weeks later, the airline said that it expected revenue per mile would drop 1% to 3% in the second quarter due to slower sales. But the slump was short-lived. On its August earnings call, Southwest Chairman and CEO Gary Kelly told investors that the April incident is behind it. The airline reported record operating revenues of $5.7 billion for the second quarter. Its outlook for the third and fourth quarters is strong. Despite the bumps in the discount airline’s business earlier in the year, free cash flow is taking off. It’s expected to rise 16% in 2018 to $2.1 billion from $1.8 billion in 2017. This double-digit increase in cash flow follows a 20% drop from $2.3 billion in 2016. But Southwest’s free cash flow decline in 2017 wasn’t all bad. It was caused by higher capital expenditures. And it should lead to more growth in the future. Last year, Southwest spent $2 billion buying new planes to replace its aging fleet and support future growth. Capex spending is expected to head south in the coming years, positively affecting cash flow growth. But cash flow in 2017 was still 57% higher than the $1.2 billion Southwest generated in 2014. Cash flow could and, more importantly, still can cover Southwest’s dividend. In 2017, Southwest paid out $274 million in dividends, or about 15% of free cash flow, to shareholders. After raising the dividend by 28% in May, the company is expected to pay out $336 million in dividends, giving it a payout ratio of just 16%. That’s well below SafetyNet Pro’s 75% comfort threshold, leaving Southwest with ample cash to pay its dividend. In August, Southwest Airlines declared its 168th consecutive dividend. The company has raised its dividend for the last seven years. It’s part of the company’s publicly stated commitment of delivering increased value to shareholders. Customers, myself included, like Southwest because of its “transfarency.” That’s what the company calls its low-priced fares with checked bags included and no hidden fees. Investors should also appreciate Southwest’s transparency when it comes to its dividend safety. Southwest’s dividend is well-covered and should fly higher with future cash flows. 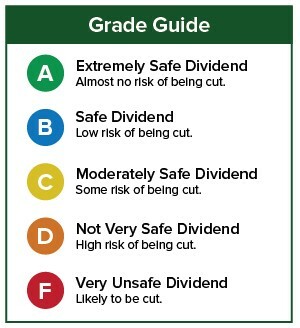 If you have a stock whose dividend safety you’d like Marc to analyze, leave the ticker symbol in the comments section. You can also enter the ticker or company name in the search box in the upper right-hand corner of the Wealthy Retirement site to see if we’ve written about your stock recently. Are You a Bad Tipper? Will This 9.9% Yield Face Headwinds? Will This 5.7% Yield Go Up in Smoke? Is This Down-and-Out Blue Chip’s Dividend Safe?